DPN's Dual Income properties offer flexibility for all types of investors. People looking for an affordable first home can consider a live-in situation where they live in one property and rent out the other. Our clients recently built a Dual Income home in Gregory Hills, in Sydney’s South West. They moved into the 2 bedroom dwelling and rented out the 4 bedroom dwelling for $520/week. DPN's Dual Income properties offer affordable home ownership. 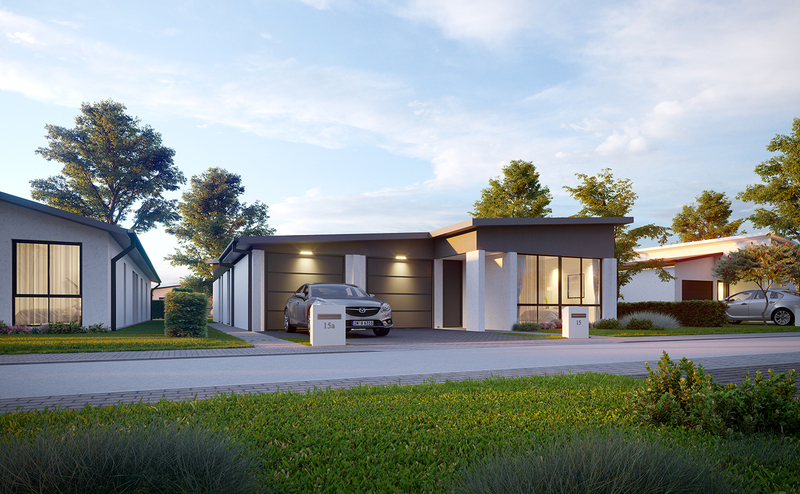 Taking into account the purchase price, purchase costs, property costs, rental income earned, loan payments, cashflow and tax benefit, it ends up costing just $200/week to live in the brand new 2 bedroom home. This is significantly cheaper than renting in the same area. What's more, if their needs change they have the option to switch to the larger dwelling. Alternatively, investors can rent out both sides of the property. In this scenario the property would be cashflow positive, returning $4,592 p.a. after tax or $88/week. These calculations are based on a real life situation, DPN clients that purchased a Dual Income property in Gregory Hills, Sydney for $837,960. They accessed a Family Pledge Loan which meant they did not need a cash deposit and borrowed 100% of the purchase price. This is also factored into the financial modelling. A Family Pledge makes it easy for a family member to guarantee part of your home loan, while having the peace of mind to set the guaranteed amount. The result is that you could get into your home faster, with help from your family. This arrangement has the added benefit of helping the borrower reduce or avoid Lender’s Mortgage Insurance. The guarantor can use their home’s equity to guarantee part of their family member’s loan. There’s no cash to pay and you choose the guarantee amount. The arrangement is released when the loan to value ratio requirements are achieved. * Stamp Duty applies to land purchase price of $410,000. Rent: $520p/wk x 52 weeks, less 2% vacancy rate. Property costs inc. 6% management fee and landlord & building insurance. Interest only loan @4.2%. Lenders mortgage insurance doesn’t apply to this scenario. Tax credit for depreciation applies to the rented dwelling on a new property. Tax refund based on second highest tax bracket 37% + Medicare levy of 2%. Calculation based on year 1. Holding costs aren’t inc. as they reduce the cost of home ownership, they’re only claimable in year 1 and are tax deductible. Expect approx. $12,600 before tax. First home owner grant is not inc. and would further reduce purchase costs. Investment loan to lease both sides is based on 4.8% interest rate. The information contained within this example is of a general nature and is not a financial plan or financial advice. It serves as a guide only to provide information and illustrate possible property investment options. DPN recommends that you obtain independent legal and financial advice specific to your situation and tailored to you before making any financial investment or decision based on the information contained in this document. Costs and rates are estimates at the time of publication of and are subject to change. Capital Gains Tax may apply upon sale of the property. All illustrations are subject to changes in tax laws, investment returns and the assumptions made.